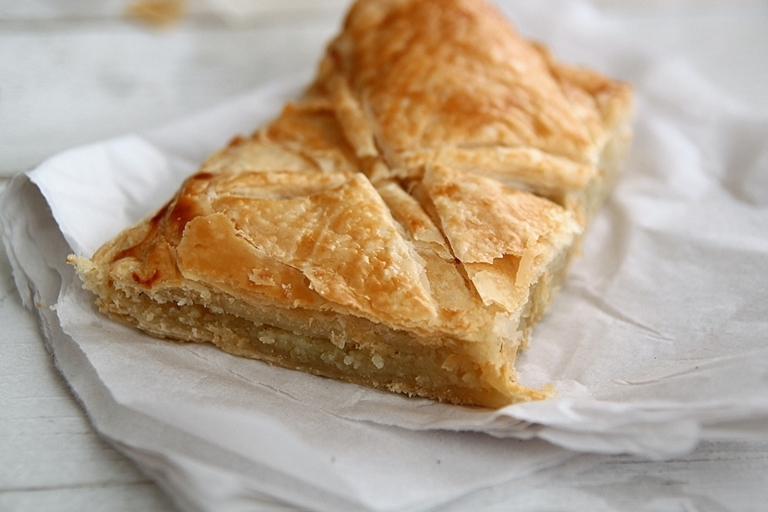 Traditionally served over Christmas for Epiphany, a Galette des Rois, or 'king cake', is a simple pastry dessert with a rich, buttery almond filling, similar to a frangipane. 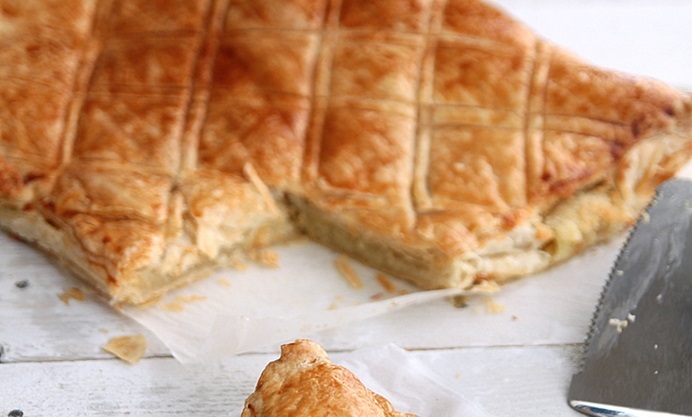 Nisha Thomas' easy Galette des Rois recipe makes this a perfect Christmas dessert or treat for any time of year. I was first introduced to Galette des Rois a couple of months back by my boss who made it for us fresh out of the oven on a warm summer day. It was love at first bite and I had to get the recipe from her. It's such an easy one to follow, and makes for a great tea time snack or even a dessert if served warm with a scoop of vanilla ice cream. She went on to explain that the cake is made to draw the kings to Epiphany and that traditionally, a figurine, la feve (or broad bean) is hidden in the cake and the person who finds it in his slice gets to become the king for the day. The trinket can be anything from a coin to a plastic figure. How fun right? I served this recently at a tea party and was very tempted to hide something in the cake. But due to last minute chaos (or lack of planning) I completely forgot about it. I'm definitely going to do that the next time. 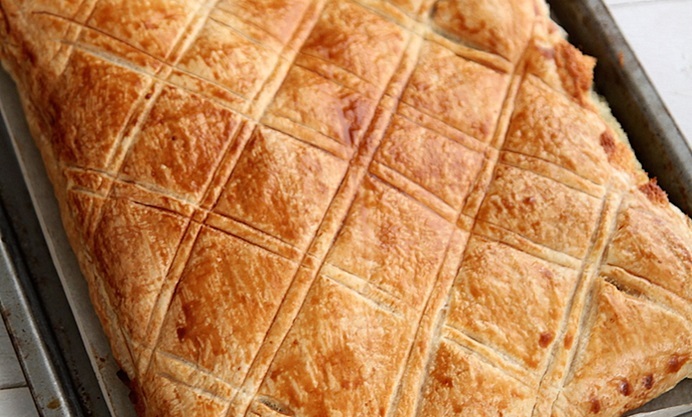 Usually the galette is made round, but since we get ready-made puff pastry in rectangular form, I chose to keep the shape as is. Whatever the shape, this easy-to-make treat is sure to please your taste buds. If short on time, you can skip the chilling of the almond filling before assembling, although the chilled mixture will give a slightly better finish. Alternatively, if making ahead, the filling can be refrigerated for about a week and freezes well for about 3 months. Thaw overnight in the fridge when ready to use. These can be made as mini tarts as well.